Disney Research has announced that they’ll be releasing an augmented reality coloring book app that translates a child’s drawing in real-time into a 3D-modeled character. While kids are coloring away on the printed coloring book, they can see their work come to life on their screens thanks to the deformable surface tracking developed for tablets. 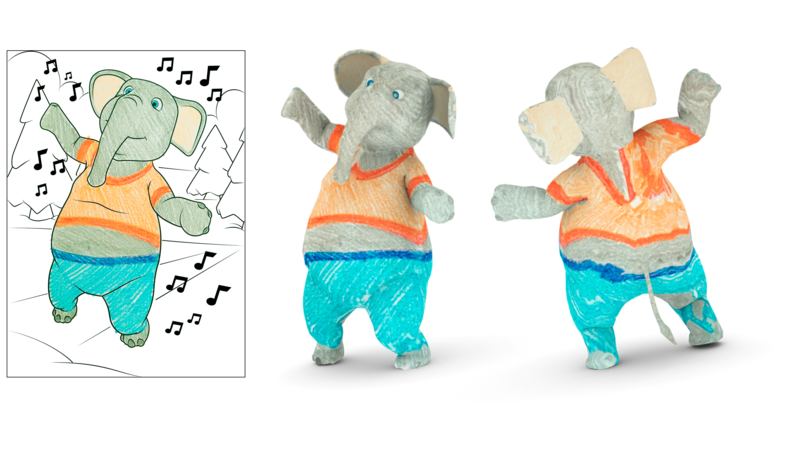 The drawing is detected and tracked, and the video stream is augmented with an animated 3-D version of the character that is textured according to the child’s coloring. As real world activities become less exciting for children due to advancements in technology, this app hopes to create a connection between the real and digital worlds in a colorful way. Disney Research believes that this technology has enormous potential in the realm of digital computing, and they see a myriad of applications in early-stage education.